When it comes to design, font may be something you don’t really notice unless it’s glaringly bizarre or just very hard to read. However, font (the word for the combination of a given typeface, style, and size) is a surprisingly big deal to many people. A broad range of enthusiasts (font geeks?) can tell you the names, virtues, histories, and sometimes the designers of various kinds, though more than a thousand styles have been designed through the years. And while many styles might appear similar to the uninitiated, they’ve come to have common connotations. For example, Comic Sans is often used to denote humor or playfulness, while Times New Roman is frequently the preferred font for writing about serious matters. 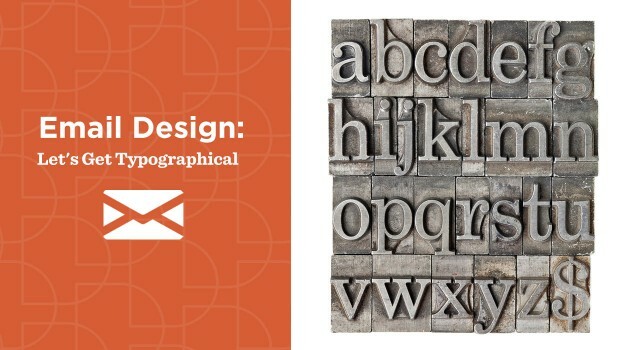 In general, designers recommend using only one or two fonts per email message. More than that may confuse the eye and make your copy less appealing to read. Open Sans: This very legible font has a friendly but neutral appearance and is optimized for print, web, and mobile interfaces. Helvetica: One of the most popular typefaces in the world, this easy-to-read style works harmoniously with a number of other design elements. Comic Sans: This casual, non-connecting script inspired by comic book lettering is common in informal documents and children’s materials. Courier: This style resembles the numbers typed via typewriter and works well in columns. It’s said to denote dignity, prestige, and stability. Raleway: This minimalist font is considered modern, yet elegant. Droid Serif: This contemporary font is slightly condensed to maximize comfortable reading on small screens. Crimson Text: This straightforward Roman-style design is meant to look somewhat old fashioned. The last thing you want in an email campaign is your recipients automatically bypassing your message because it’s painfully small to read — or alternatively, so big it requires continual scrolling. In general, sans-serif fonts appear more clearly than serif fonts on pixel-based screens, and the standard size is about 22 – 24 pt. for header text and 14 – 16 pt. for body copy. Choosing a font has been compared to choosing an outfit that reflects your personality and makes a good first impression, all while remaining appropriate for the occasion. You can probably reduce your brand to three key adjectives, so pick a font design likely to connote those qualities. A font that clashes with your company persona might inadvertently confuse customers and distract from your message itself. 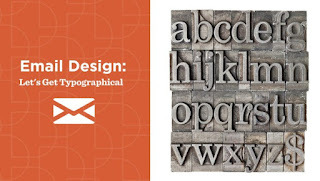 For continuity’s sake, you may also wish to match your email font with the lettering in your company logo. Even if you’ve chosen a regular, permanent font that represents your brand as a whole, you can still deviate at times to give impact to messages. For example, a more traditional brand may wish to convey a lighthearted message, in which case a secondary font choice can come into play. Different fonts can also be used for different types of content. As an example, you may choose to use one font for your information-themed newsletters, and another font for fun sales or special offers. Red: Associated with the intensity of blood and fire, as in the Red Bull and YouTube logos. Think active, emotional, passionate, love, intensity, and aggressiveness. Blue: Associated with depth and stability, as with the Samsung and Ford logos. Earth and sky, comfort, faith, conservative, understanding, clarity, confidence, calm, and trust. Yellow: Associated with energy, joy and sunshine, as with the McDonald’s campaign. Alive, energetic, fresh. Green: Associated with the harmony of nature, as with the Starbucks logo. Relaxed, trust-worthy, peaceful, hopeful. Purple: Associated with luxury and royalty, as with Yahoo! or FedEx. Glamour, power, nostalgia, romantic, introspective. Orange: Associated with happiness, sunshine, tropics, as with the Fanta or Nickelodeon logos. Enthusiastic, creative, determined, stimulation of mental activity. Black: Associated with mystery or formality, as with the Blackberry or Tiffany & Co. logos. Bold, serious, luxurious. Pink: Associated with feminine traits, as with the Barbie brand. Love, sweet, warmth, nurturing. Brown: Associated with nurturing and Mother Earth, as with UPS or M&Ms. Reliability, support, dependability. Many computer systems come with their own library of fonts that can be used for free; if you go that route, be sure to check that your choice renders well across multiple browsers. Other companies opt to buy unusual fonts from designers to set their brands apart from the competition. Note that licensing is needed to use certain web-specific fonts in any kind of online marketing. One word of caution: When browsing fonts, it can be easy to get caught up in all the fun and interesting choices and choose a style that’s so unusual it hugely distracts from your messaging. Some creativity is fine if your company or brand is all about creativity, but in other cases goofy choices will keep your brand from being taken seriously. When in doubt, choose the more conservative option.